It takes a lot of angels to build a Chapel of sacred art. CoSM Members are those angels. 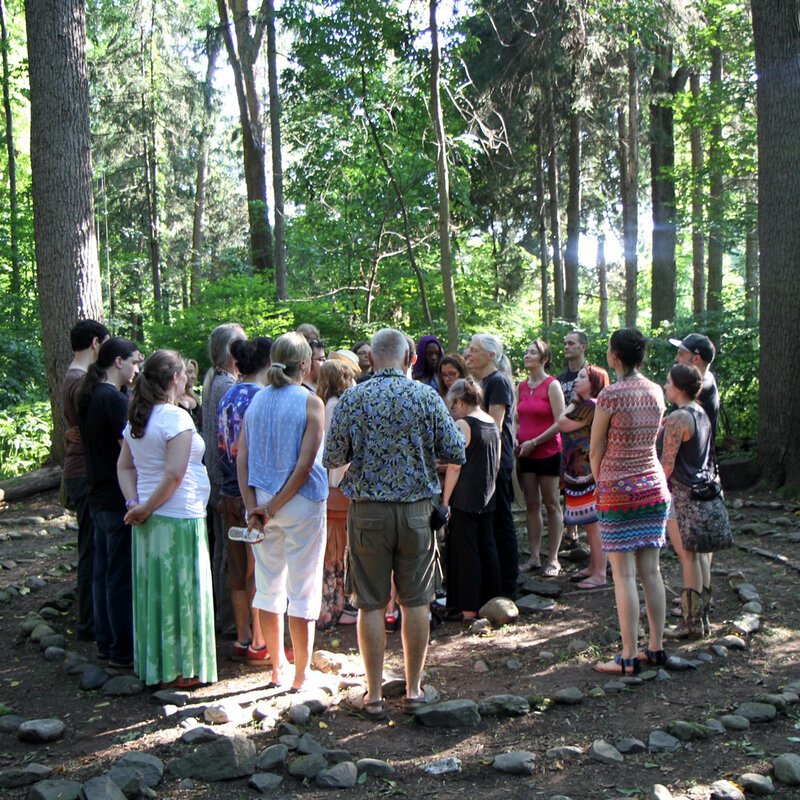 Celebrate art as a spiritual path with Chapel building as the ultimate expression of mystic communion. 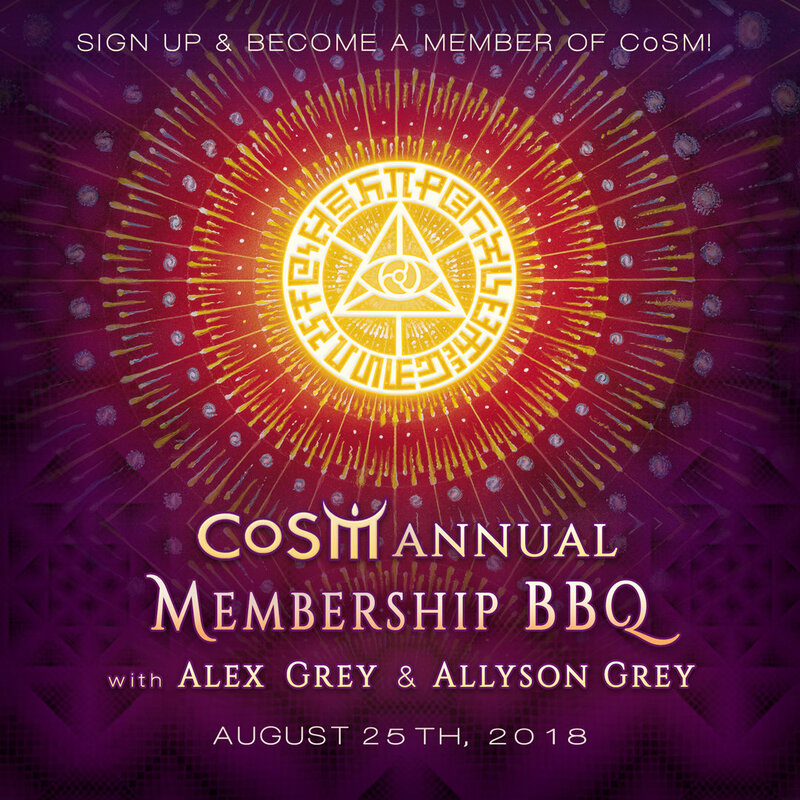 Become a member of CoSM today, and support this sanctuary of Visionary Art. Membership is $100 for a calendar year beginning with the date of purchase. 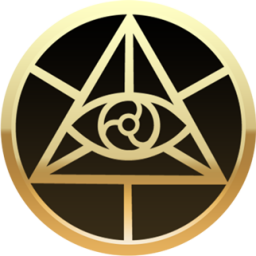 Be a part of this growing community of creative visionaries. Sign up today! 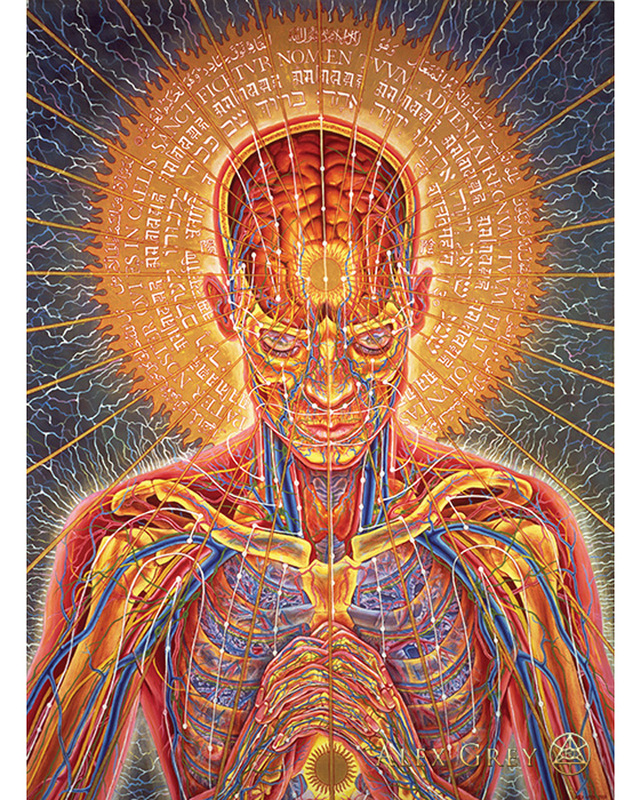 and the past, present and future of CoSM. Outdoor Dinner, weather permitting. Rain: in the dining hall. Sign up anytime before the BBQ, even at arrival. Pre-register online to reserve dinner for the BBQ. A&A Head to Maine August 3rd - 5th! Kind Mind Campout and Campout Cup. Eoto, Sunsquabi, Charlesthefirst & Supersillyus. and Johnathan Solter is sure to inspire creative flow. with an all-star lineup of panelists. 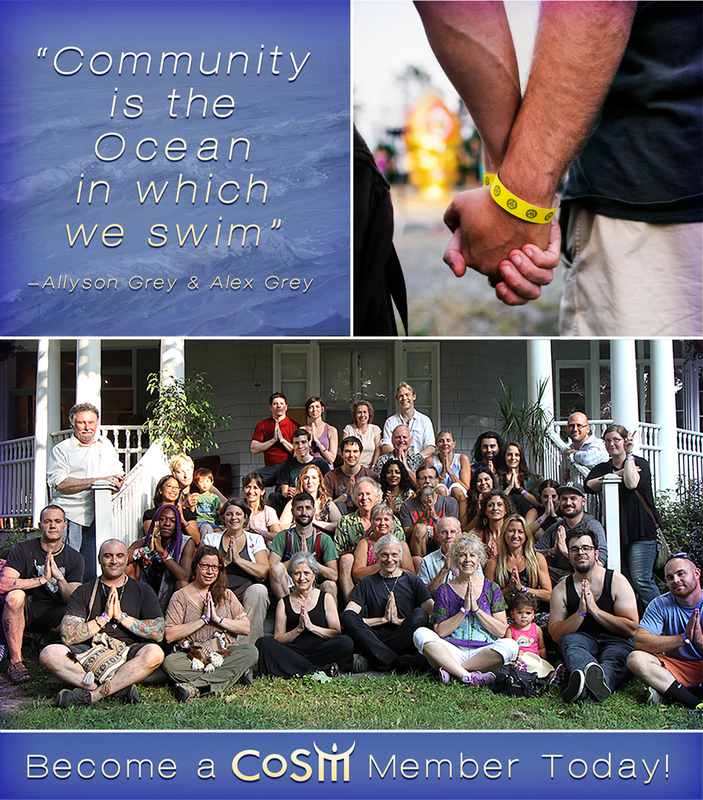 Celebrate community, cannabis and creativity with the world wide love tribe. 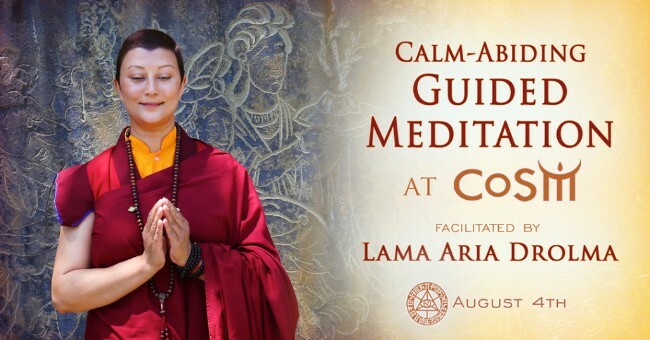 Lama Aria Drolma introduces In-depth Guided Shinay Meditation to help you to establish a strong and consistent, mindful meditation practice. Experience a deep sense of peace and relaxation using authentic Tibetan Buddhist practices. The methods are simple but the benefits are extremely profound. Yoga of 12-Step Recovery is a holistic model created to address the physical, mental and spiritual disease of addiction. Modeled from the structure of 12-step circles, Y12SR meetings include a group sharing circle followed by an intentional, themed yoga class. Open for anyone who is working to overcome manifestations of addiction such as behavioral, or substance abuse or both. All are welcome to attend. 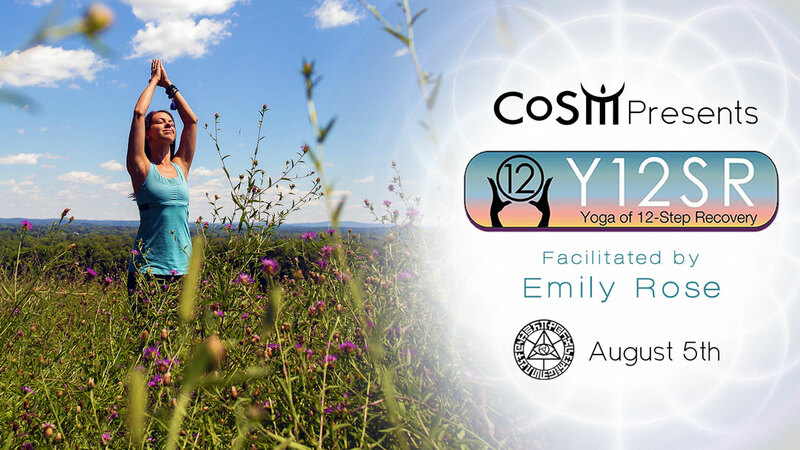 Emily’s focus is to help students experience the benefits of yoga through a creative vinyasa flow and meditative approach.